Marvel comics sequel to Split and Unbreakable... has James McAvoy and his multiple personalities aka "the Horde", Samuel Jackson with his genius but scheming ways and the same broken bones, and Bruce Willis and his super hero strength. 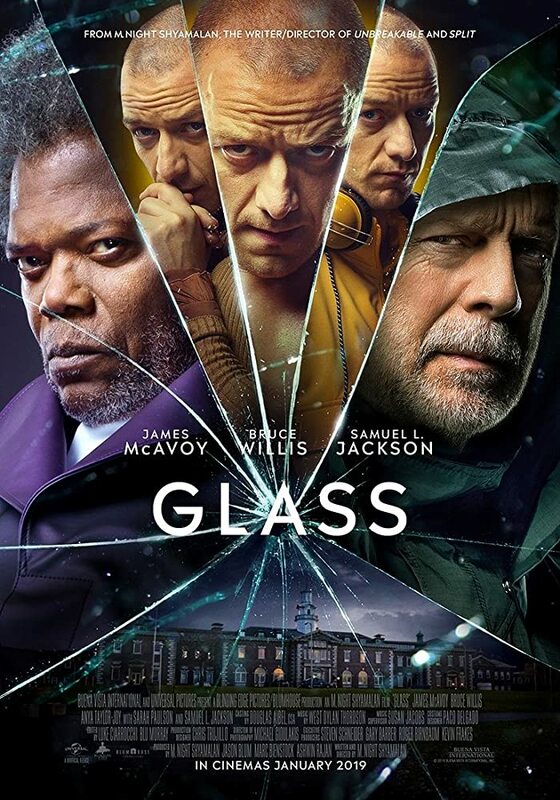 All come together in Glass... good movie and twist and turns made for entertainment. Lotta time spent in the asylum... won't say more but bummer on the ending. See more on IMDB.